Ann is awesome. Super personable and makes you feel at ease. Will take time to listen and address concerns. Great place. Eterna has the highest quality medical professionals that you will find anywhere. I am 100% satisfied with their services. Awesome as always – I trust Souzan’s advice completely, going on three years now? Amazing as always! Jessica makes my needle anxiety disappear and is so quick. Her treatments are always amazing. All of you have been so professional, friendly & courteous right from the start of the Open House to the winning emails, as well as being able to assist us……..I just wanted to say thank you and want you all to know I would recommend your products and services to anyone I know. The staff and Doctor were outstanding! From the time we walked in we were treated extraordinarily by the entire staff. It all starts with the receptionist and she was so attentive and friendly. The ultrasound technician was extremely professional and informative and answered all my questions. I actually had a great conversation during my 45 minute ultrasound. The staff member that took my vitals was very helpful and friendly. Lastly, the Doctor was very thorough and professional while he explained all my results from the ultrasound. You obviously understand what customer service is all about. I would highly recommend this facility! I love Eterna, the people are great and very informative and do what is best for you. They also have top notch face products. Beautiful clean office. Both Jessica and the front girl were great! Jessica was very knowledgeable, kind, and professional. I will be returning along with referring. Thank you. Jessica is alwaysamazing , such a lovely office. I tell all my friends and clients about Eterna and I feel completely confident they will love it as well. The staff were so kind and professional- the nurses were very informative and made me feel at ease about my procedure from the beginning. I will without a doubt return for any future needs and will recommend Eterna to my friends and family. I have lived with ugly varicose veins for years. Never wore shorts. Doctors told me to elevate, watch salt intake, and wear compression socks. Finally, Dr. Kim said that he could do something about my veins. Now, eight months later, I’m not embarrassed to wear shorts. Hooray to him and the staff at Eterna! I felt comfortable and confident that my services were being provided by a knowledgeable practitioner. The office is clean, modern, and welcoming. I am really excited about the results I received and can’t wait to try the other suggested procedures. After being unhappy at a different office I found Eterna. Thank goodness! Eterna has a professional and highly trained staff that obviously know their business. I will absolutely be coming back! Dr. Osborne is my Champ. He worked on my legs in 2005 and I am glad he helped me again. I feel great and very relaxed about the way I have been treated at Eterna. The nurses are wonderful and a very friendly reception. I will absolutely and have already recommended Eterna to others. I want to thank all of you for being so wonderful, Elizabeth you are AWESOME, you are so sweet, Dr. Kim is so friendly & so nice, some Doctors don’t talk, he makes you feel very comfortable, thank all of you & especially Elizabeth. Very professional and caring staff; Jessica is amazing and skilled in her selection of what and where, thus amazing results. I will gladly refer them to my friends and family! Ann was amazing as always- knowledgeable, professional and sensitive. I highly recommend Eterna, the staff is so friendly and Jessica who does all my injections is amazing! She has such a gentle touch and she makes me look natural but just refreshed. I’m so glad I found her! Jessica is so kind and talented! She helps guide me how to look my best while working with a budget. She’s AMAZING at what she does!! As always, Jessica was amazing. She has an incredible eye for subtle touches that make a big impact. When I first went in for Botox touch ups and my first foray with injectables, I was worried about it looking ‘done’ (or the dreaded ‘duck lips’). I had nothing to fear in her hands. Everything looks natural and I feel great. Thank you Jessica! Jessica is so helpful and accommodating. The office staff is very sweet and professional. I’ve wanted to go to other places that run specials but Eterna takes such great care of my needs I am a loyal patron. 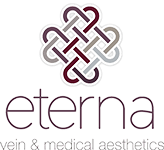 I tell everyone the best place for aesthetics is Eterna! The staff is just wonderful!! You feel an instant feeling of calm when you walk into their relaxation room and wait for your appointment, and then someone comes in with a big smile and takes you back. You can always tell when people are happy at their professions by the way they treat you, these folks really love what they do!! All of my experiences with Eterna Puyallup have just been top notch, and I would recommend it to anyone!!! Jessica is superb. Very personable and caring. Amy did a great job getting me scheduled at a time that worked for me. Suzanne does a wonderful job. She is very knowledgeable and I always enjoy the services that I get from her. Love everyone that works there!! Super friendly, professional, and amazing results!! Highly recommend!!! Jessica is wonderful, talented, personable, someone I can place faith in what she determines my needs to be, esthetically. Plus, I just plain like her! Love Eterna, everyone is very friendly and willing to make each visit comfortable and pleasant. I will recommend them to my friends for sure! The staff is extremely helpful and nice. They make you feel as comfortable as they can and treat you with kindness and respect. I will be coming back!